Sergei Roff is a travel agent. He is not a spy, even then British Intelligence pushes him into being one, he steadfastly refuses to admit it and for good reason. He is a travel agent. He is a good guy, easy going literally to a fault, prone to falling in love a tad too easily and most definitely susceptible to manipulation by others far easier than is good for him. But he is not a spy. 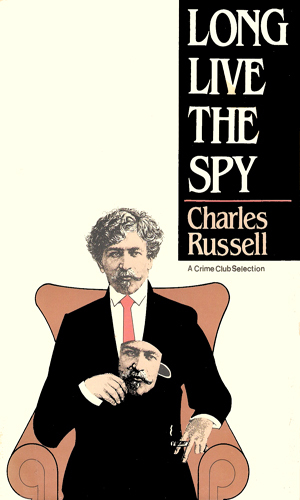 The interesting thing about this rather breezy two-book thriller series reminiscent of the lighter but exciting fare that Hitchcock sometimes gave, is that in the first adventure he is a man on the run from a crime he didn’t commit, only to discover that a spy is pretending to be him. In the second book, exonerated but now little yet a different life, he is asked by British Intelligence to pretend to be a spy. The irony is not lost on him. Roff is a middle-aged man who, at the start of the series, is a very successful travel agent who is especially known for his tours to Russia. His fluency in the language comes from having Russian parents whose real last name was Romanov. Roff does not make any claim to any lost throne but he is smart enough to know if he used his hereditary name, his excursions to the Motherland would be over. Roff’s troubles begin when he meets and falls in love with a quite wealthy beautiful woman and then begins to let others convince him he needs to improve his already good station in order to deserve her. This makes him a wonderful patsy for an unscrupulous man and that is the start of his problems. He is an everyman who is first forced by circumstances and later coerced by blackmail into doing things he not only would not have imagined doing but would rather just totally forget about having done them when they are over. He has no aspirations for excitement and thrills and getting shot at and almost thrown in prison but they come his way nevertheless. A successful travel agent who had recently married into considerable money, Sergei Roff is conned into helping a man named Kress but soon finds he is suspected of embezzlement. He fles to Spain and changes his face and name. Three years later, he reads of his own death back in England and now wants to know what really happened. Sergei Roff now lives San Francisco, happily married to Anita and enjoying a good life. Then British Intelligence comes calling again, asking his help to hunt down his nemesis Kress. Kress, however, is deeply involved with a Japanese plot to sell drugs to finance terrorism. Against his better judgment, Roff is determined to bring him down. I at first thought that the sequence of the books was messed up by myself or by the publisher. The famous line of succession is “The King is dead. 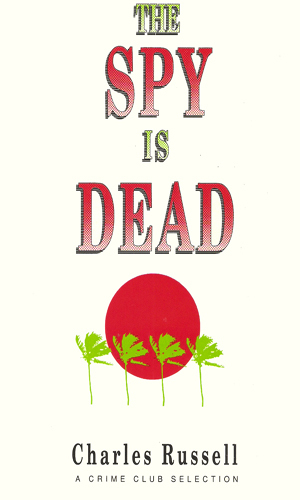 Long live the King” but here the first book was Long Live The Spy with the second being The Spy Is Dead. Once I read them, of course, I understood the reasoning. Most of this two-book series was too slow for my liking and many parts made me want to throttle the lead character. He is by no means naïve but he is most certainly open to influence and that got old quickly. This is far more a mystery series than a spy series even though many of the players are spies and the mysteries are covered in cloak and dagger cloth. Still, Roff comes out ahead in both books almost totally from his own actions and that says a lot.